The EuroHedge Awards celebrate fund excellence in the European hedge fund industry. The awards are the most prestigious and accurate in the industry, and the hedge fund community turns out in force to enjoy this stylish occasion. Each year, more than 700 hedge fund managers, investors, and other industry professionals come together to celebrate the achievements of the best performing funds of the previous year. The aim of the awards is to identify those funds and firms that have produced the best risk-adjusted returns for their investors – achieving the twin primary goals of hedge funds of capturing the upside in terms of strong absolute returns while also controlling volatility and protecting capital on the downside. 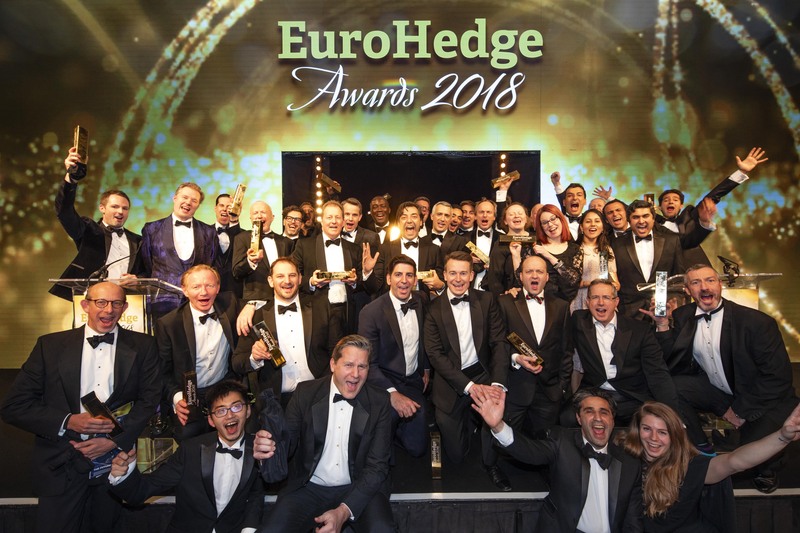 The EuroHedge Awards will aim to highlight the best risk-adjusted performers in the European hedge fund industry in 2019 across a range of categories, with nominations and awards being based on a combination of Sharpe ratios and absolute returns. The nominations and eventual winners are decided by an entirely quantitative process, which aims to reflect the two primary aims of hedge funds – to manage volatility and to deliver positive returns for investors. Nominations for the individual strategy categories will be based on 12-month performance numbers from January 2019 to the end of December 2019. Nominations for the longer-term equity and non-equity awards will be based on the five-year period from January 2015 to December 2019. For the one-year award categories, the minimum fund asset level required to qualify for nominations is $100 million – with nominations being based primarily on Sharpe ratios over the 12-month period. To qualify for nominations, funds must achieve annualised returns higher than the median returns for their peer groups – and they must also be within 10% of their high water marks that were set before the start of the performance period under review. To be included in the nomination process, funds must report monthly to the EuroHedge Database. All funds that wish to be considered for nomination must be submitted to the database by Friday 6th December 2019. LONG TERM PERFORMANCE (10 years) – MACRO, FIXED INCOME & RELATIVE VALUE VR Global VR Advisory Services Ltd. The EuroHedge Awards 2019 will take place on Wednesday, 12 February 2020 at the Grosvenor House, London. BNP Paribas is a leading bank in Europe with an international reach. It has a presence in 74 countries, with more than 192,000 employees, including more than 146,000 in Europe. The Group has key positions in its three main activities: Domestic Markets and International Financial Services (whose retail-banking networks and financial services are covered by Retail Banking & Services) and Corporate & Institutional Banking, which serves two client franchises: corporate clients and institutional investors. The Group helps all its clients (individuals, community associations, entrepreneurs, SMEs, corporate and institutional clients) to realise their projects through solutions spanning financing, investment, savings and protection insurance. In Europe, the Group has four domestic markets (Belgium, France, Italy and Luxembourg) and BNP Paribas Personal Finance is the European leader in consumer lending. BNP Paribas is rolling out its integrated retail-banking model in Mediterranean countries, in Turkey, in Eastern Europe and a large network in the western part of the United States. In its Corporate & Institutional Banking and International Financial Services activities, BNP Paribas also enjoys top positions in Europe, a strong presence in the Americas as well as a solid and fast-growing business in Asia-Pacific. French Retail Banking, which encompasses the Societe Generale, Crédit du Nord and Boursorama brands. Each offers a full range of financial services with omnichannel products at the cutting edge of digital innovation; International Retail Banking, Insurance and Financial Services to Corporates, with networks in Africa, Russia, Central and Eastern Europe and specialised businesses that are leaders in their markets; Global Banking and Investor Solutions, which offers recognised expertise, key international locations and integrated solutions. RFA is an award-winning technology partner and has been working for over 700 clients in the financial services sector for almost 30 years. With a focus on excellent service we are long term, trusted advisors to our discerning, highly regulated client base. With global operations in the US, a new office in Luxembourg, EMEA headquarters in London’s Mayfair and two data centres in the UK (ISO27001 and SSAE16/Type II), RFA is ideally placed to support businesses with a range of financial cloud, managed services and global support services, cybersecurity, compliance and RegTech solutions, project management and delivery, unified communications and mobile solutions. 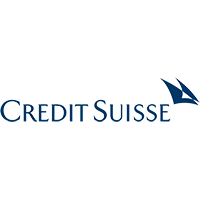 Credit Suisse AG is one of the world's leading financial services providers and is part of the Credit Suisse group of companies. Our strategy builds on Credit Suisse's core strengths: its position as a leading wealth manager, its specialist investment banking capabilities and its strong presence in our home market of Switzerland. We seek to follow a balanced approach to wealth management, aiming to capitalize on both the large pool of wealth within mature markets as well as the significant growth in wealth in Asia Pacific and other emerging markets, while also serving key developed markets with an emphasis on Switzerland. Credit Suisse employs approximately 45‘560 people. 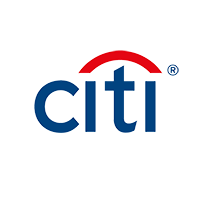 The registered shares (CSGN) of Credit Suisse AG's parent company, Credit Suisse Group AG, are listed in Switzerland and, in the form of American Depositary Shares (CS), in New York. Further information about Credit Suisse can be found at www.credit-suisse.com. ABN AMRO Clearing is recognised as a leading provider for integrated solutions in the domain of execution, clearing, custody, financing and risk management across asset classes, on a wide range of markets globally. Part of ABN AMRO Group, ABN AMRO Clearing has 11 offices globally employing more than 800 staff. ABN AMRO Clearing services clients on 160+ exchanges, MTFs and FX liquidity centres and consistently ranks as a top 3 clearer in most time zones. We consistently rank amongst the top 2 clearing firm on most relevant derivatives exchanges globally. ABN AMRO Clearing offers an integrated approach to global transaction processing, risk management and processes over 16 million trades per day. 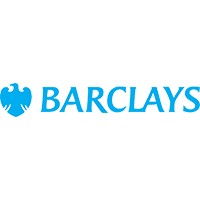 Barclays is a transatlantic consumer and wholesale bank offering products and services across personal, corporate and investment banking, credit cards and wealth management, with a strong presence in our own two home markets of the UK and the US. With over 325 years of history and expertise in banking, Barclays operates in over 40 countries and employs approximately 80,000 people. Barclays moves, lends, invests and protects money for customers and clients worldwide. For Further information about Barclays, please visit our website www.home.barclays. SEB is a Northern European banking group, working with companies, institutions and private individuals. We have a 160-year history and strong franchise in investment banking and asset management. With over 30 years’ experience with leading European and US hedge funds, SEB is one of the largest equity prime brokers in Europe and the leading provider of equity finance products for hedge funds in the Nordic market. SEB is the top equity broker in the Nordic region as well as the region’s number one provider within research, structured products, prime brokerage, equity finance and custody. As an SEB client, you will have access to all SEB’s trading desks covering Equities, Futures, Fixed Income and FX as well as Direct Market Access to more than 40 global equity and futures markets. The Prime Brokerage platform consolidates all transactions and all accounts. Client’s assets are posted on segregated accounts which minimises credit risk on SEB. 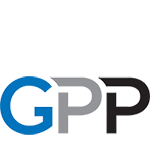 GPP is a full service prime broker, a high touch alternative to the bulge bracket traditional prime brokers, partnering with hedge funds, asset managers, proprietary trading firms, financial intermediaries, broker-dealers and banks at all stages of their life cycle. Our award-winning services are created with scalable solutions and a flexible approach. We offer trade execution, margin financing, securities lending, risk management and reporting with clearing and custody services, which can all be customised to suit funds of different sizes and strategies. Services are integrated into our web-based technology platform, providing you with access and control when you need it. This state-of-the art technology combined with our institutional strength operational infrastructure and focus on tailored client service enables us to fully support your business for growth. You can access global financial markets via our multi-asset class trading platform, which provides trade execution, margin financing, securities lending, clearing and custody services. We currently cover over 50 markets across all time zones, with 24/5 market support from our offices in London, Hong Kong and Cape Town. U.S. Bank Global Fund Services was established in 1969 to serve the unique needs of registered and unregistered products and we’ve been providing solutions to support a variety of global investment strategies and products, including mutual funds, alternative investments and exchange traded funds. For more information about our comprehensive suite of services, visit www.usbank.com/globalfundservices. Duchenne UK is a lean, ambitious and highly focused charity with a clear vision: to fund and accelerate treatments and a cure for Duchenne muscular dystrophy, a cruel muscle wasting disease. The charity has been formed by the coming together of Joining Jack and Duchenne Children's Trust, the two biggest funders of research in the UK in the last three years. Its president is HRH The Duchess of Cornwall. Its patrons include the broadcasters Krishnan Guru-Murthy and Mary Nightingale, and the sports stars Owen Farrell, Kris Radlinski and Andy Farrell. Read more.